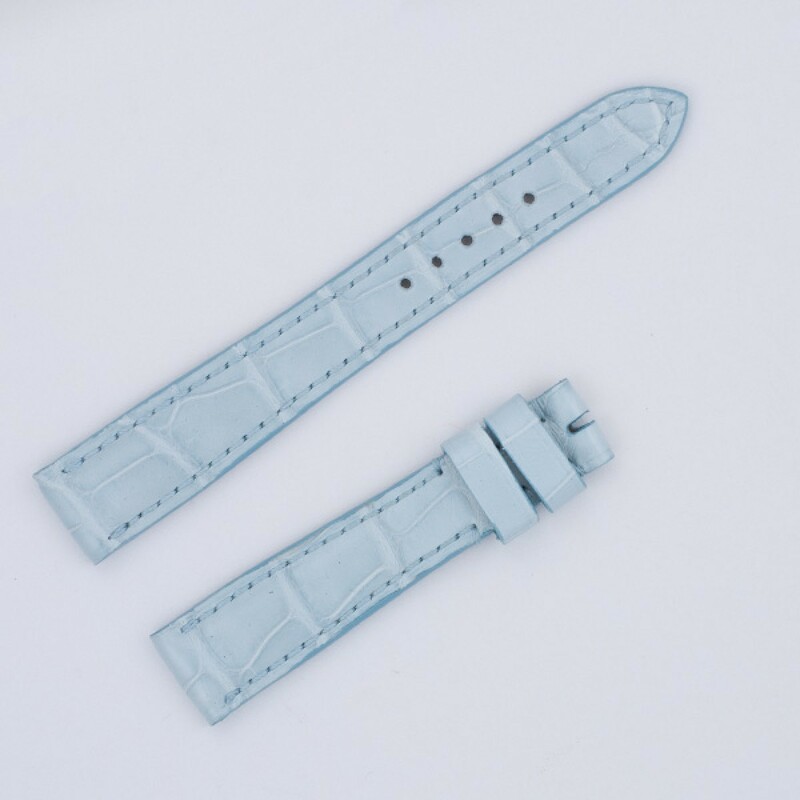 Roger Dubuis Much More light blue reg Style M22 alligator strap 14x12. Roger Dubuis Much More light blue reg Style M22 alligator strap 14x12. 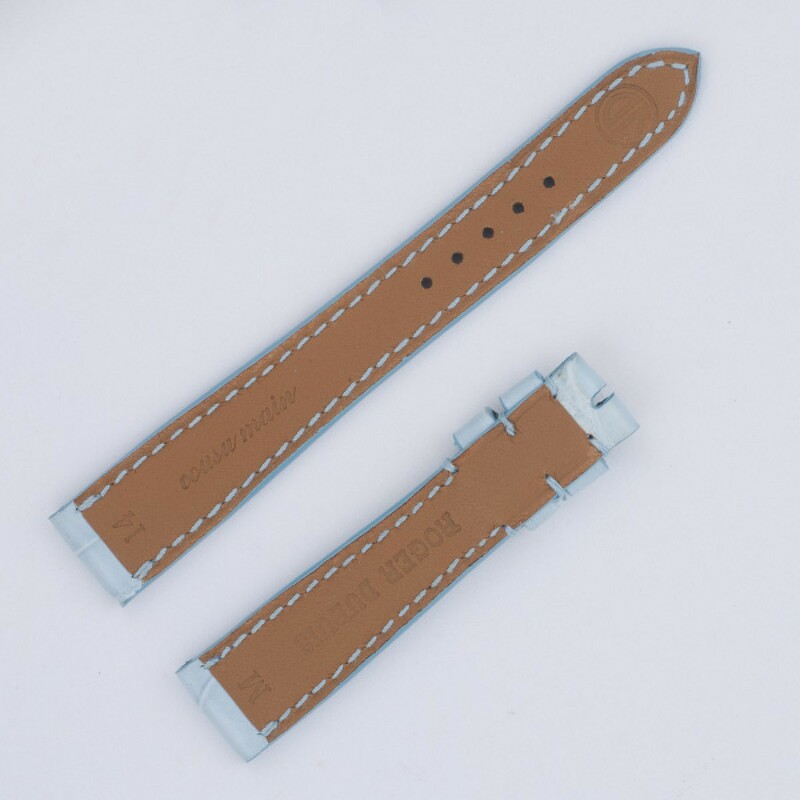 Length 3 7/8" (long piece) and 2 1/2" (short piece) for tang buckle.